The Great American Swing Band, a fifteen piece swing band (including a vocalist), performs the Big Band sounds of the 1940’s. Including Standards, Swing, Big Band, Jazz, Dixieland, Rhythm and Blues, Rock and Roll, and Contemporary Music. 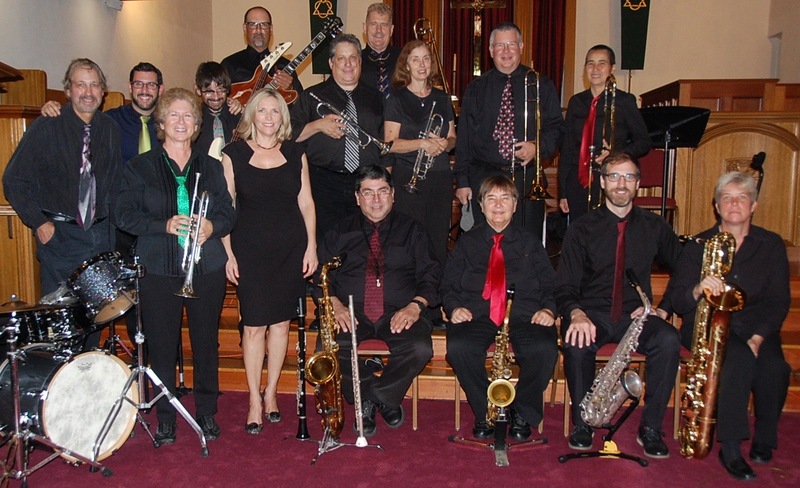 The Great American Swing Band has performed for Corporate Events, Black Tie Events, Fundraisers, Dances, Weddings, Concerts, Summer Music Festivals and all formal or informal events that want the excitement of a GREAT LIVE BAND. For small stages or where budget is the main consideration we have our seven piece Great American Swing Band. This band may be best for your more intimate or casual parties. We perform the same material at a more reasonable rate.